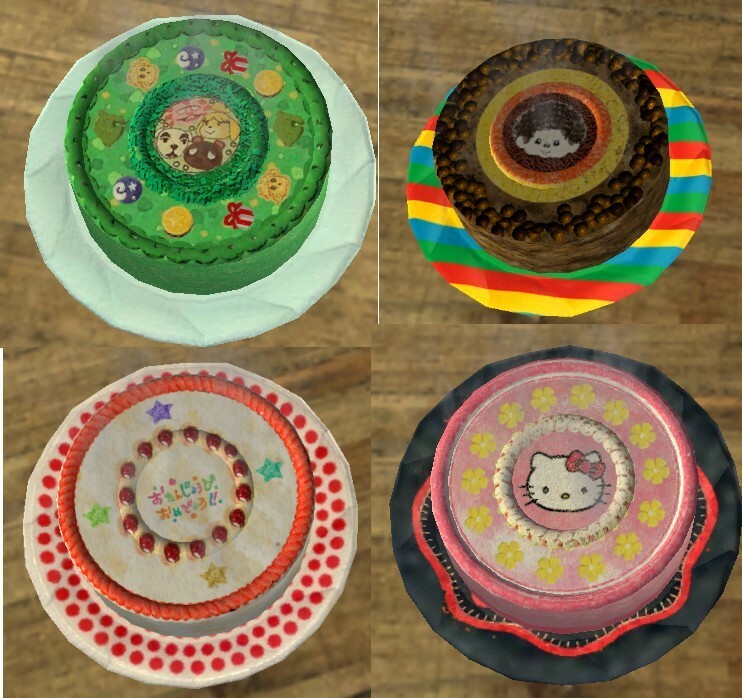 Description: A set of birthday cakes for children: Monchichi (orange), Animal Crossing (green tea), Hello Kitty (strawberry) and plain (cream and strawberry). 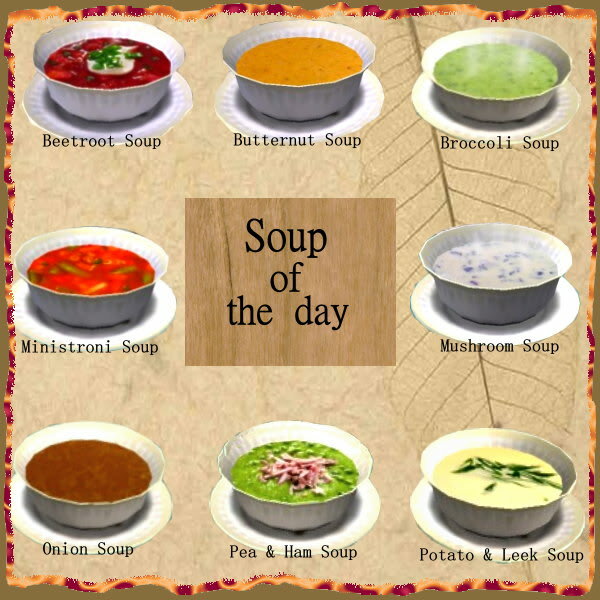 Description: A set of soups (Beetroot, Butternut, Broccoli, Minestrone, Mushroom, Onion, Pea & Ham, Potato & Leek). 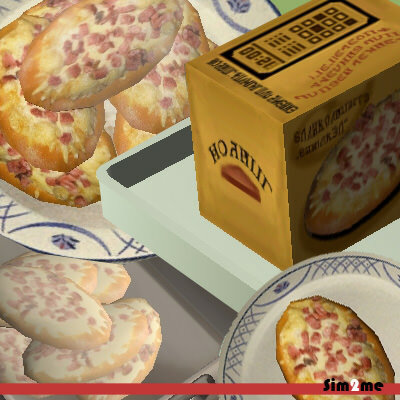 Description: Buyable and edible meat pies. 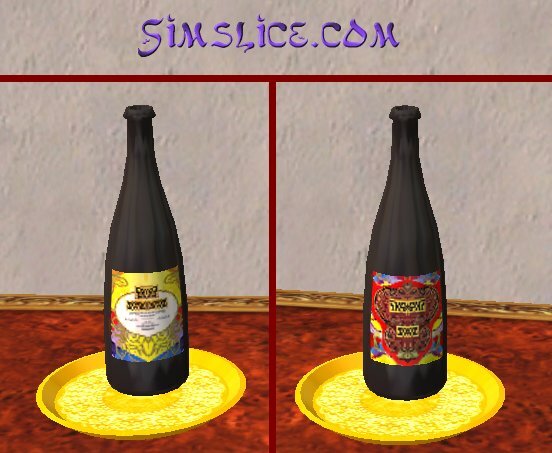 Description: Sparkling wine with additional options. 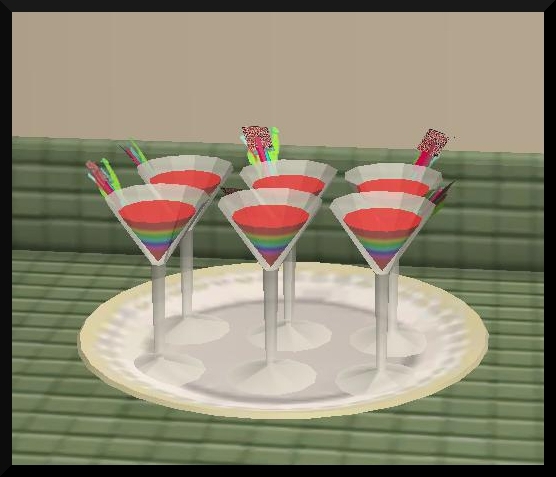 Description: Fuzzy Llama cocktails converted from the Sims 3. 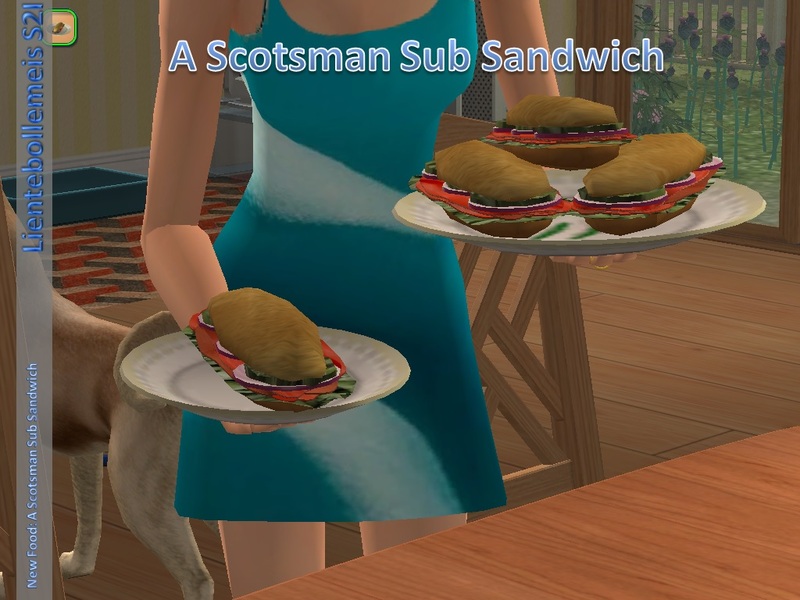 Description: A Scotsman sub sandwich. 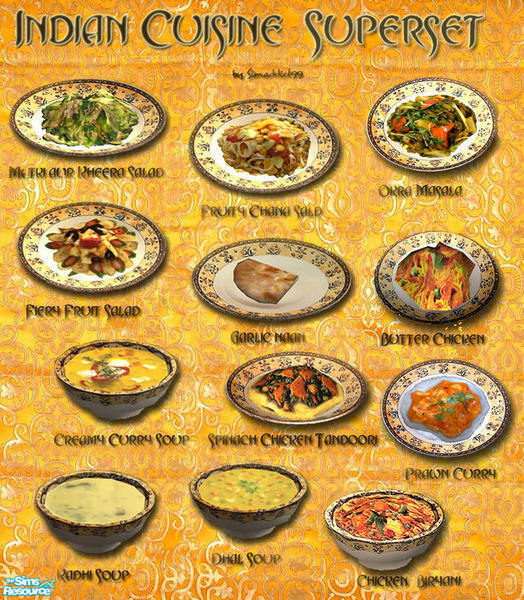 Description: A set of Indian dishes (Butter Chicken, Prawn Curry, Spinach Chicken Tandoori, Chicken Biryani, Okra Masala, Creamy Curry Soup, Dhal (lentil) Soup, Kadhi Soup, Fruity Chana Salad, Matki Aur Kheera Salad, Fiery Fruit Salad & Garlic Naan). 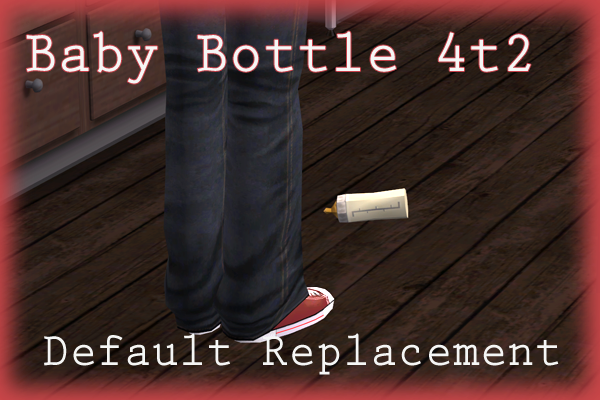 Description: Bottle replacement converted from the Sims 4. 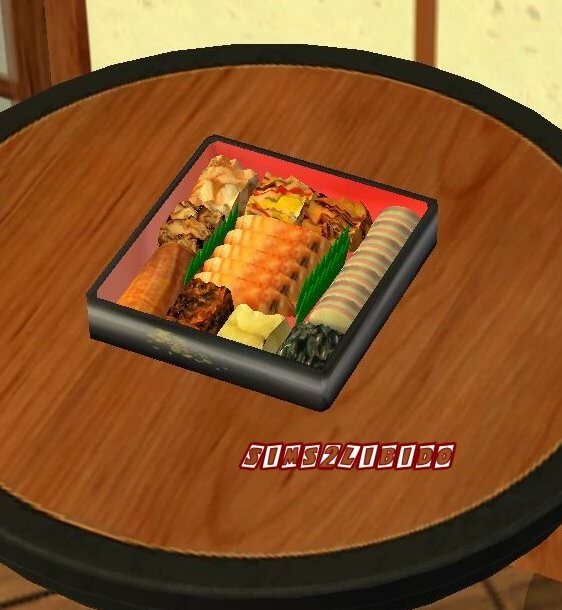 Description: Traditional Japanese New Year food. 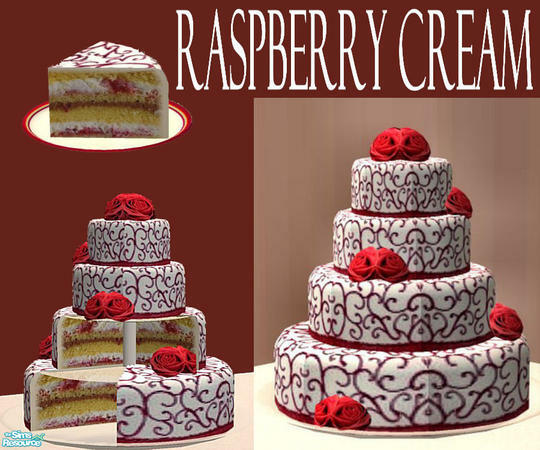 Description: Tall and layered raspberry cream wedding cake. 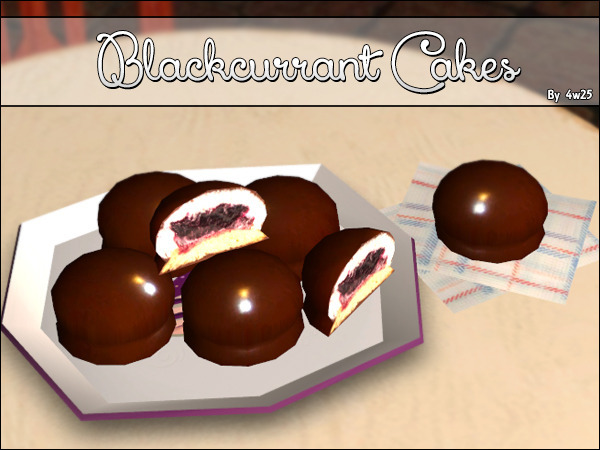 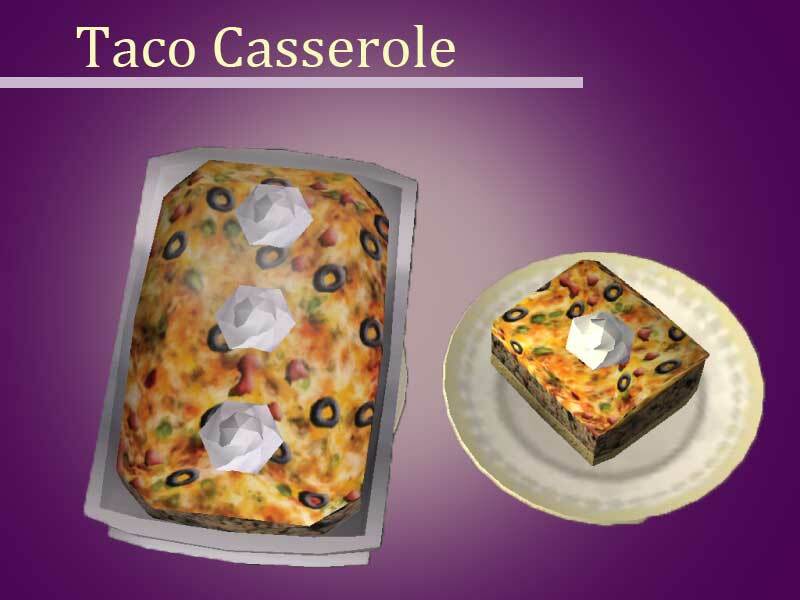 Description: Blackcurrant cakes with custom dinnerware. 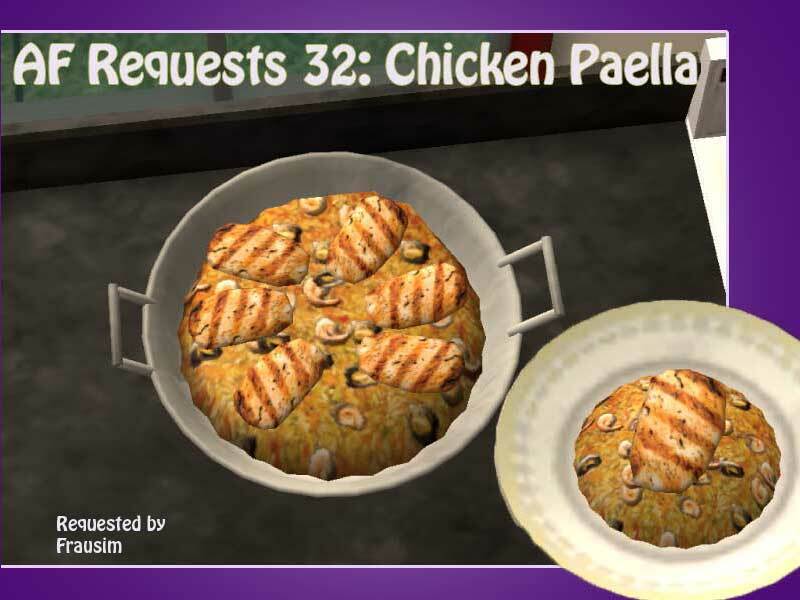 Description: A Spanish dish called Chicken Paella. 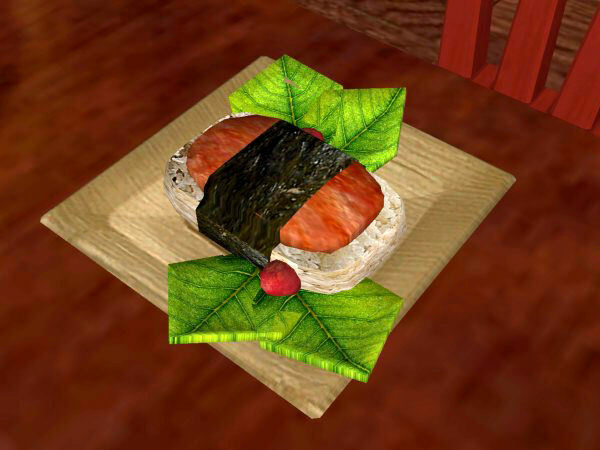 Description: A simlish recolour of Exnem's buyable doughnuts. 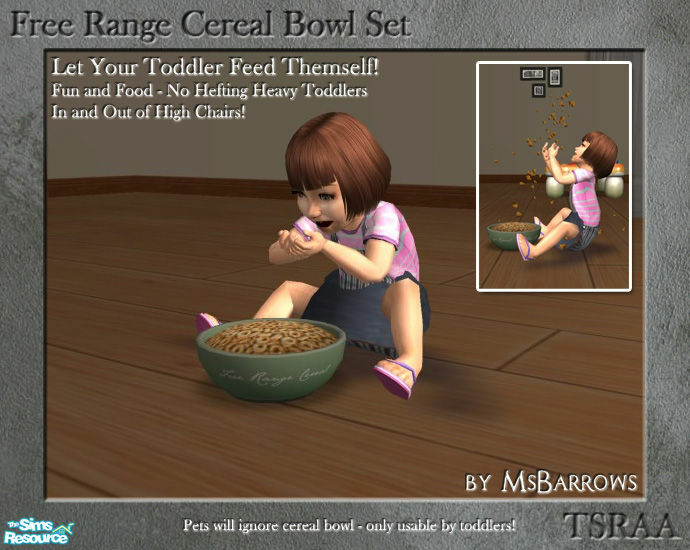 Description: A buyable bowl of cereal for toddlers. 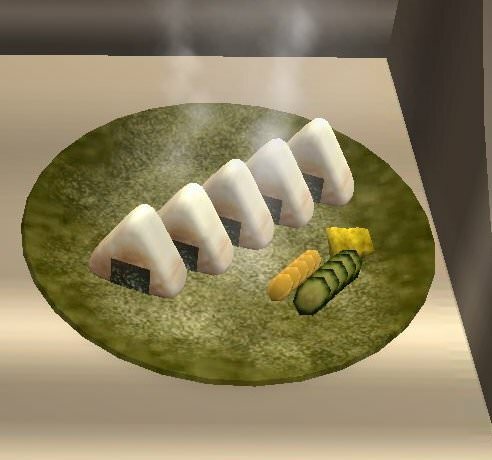 They can feed themselves and gain fun. 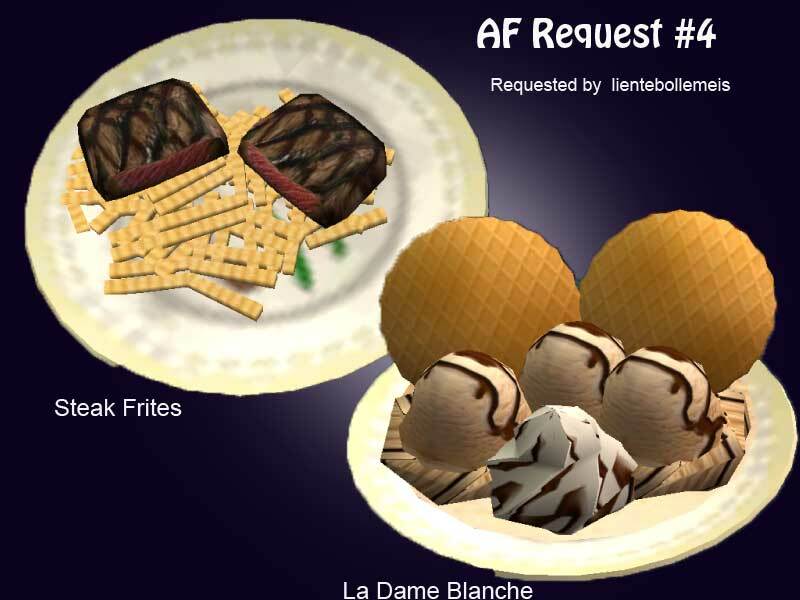 Description: Two meals from Belgium: Steak Frites & La Dame Blanche. 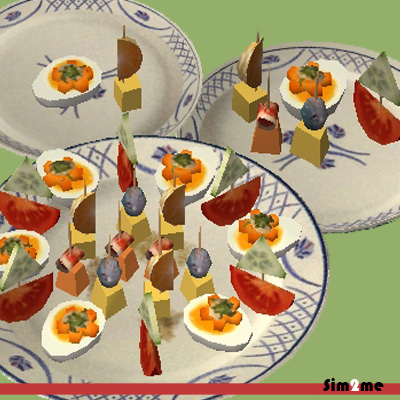 Description: Buyable and edible fiji, golden and granny apples. 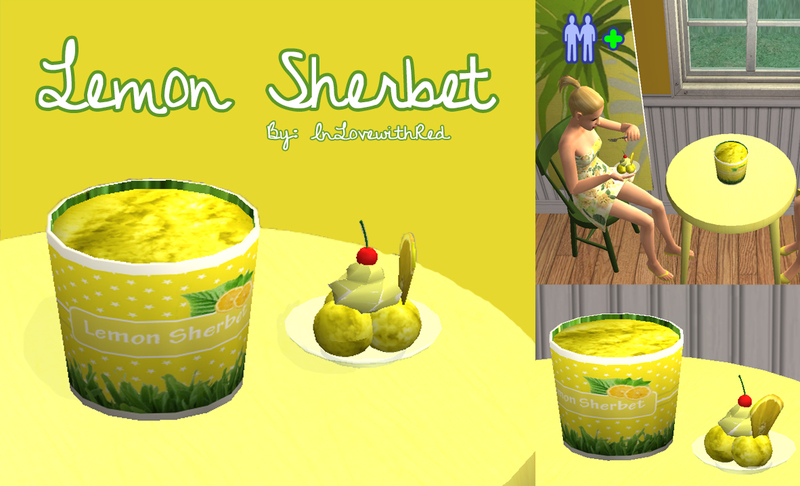 Description: Lemon sherbet ice cream. 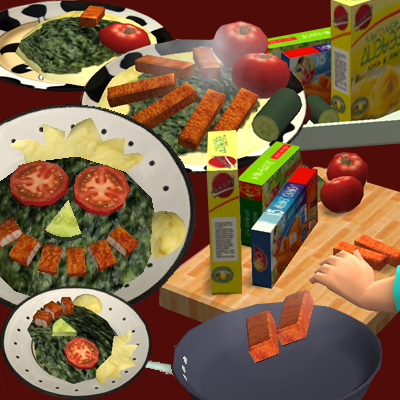 Description: Spinach dish with a smiley face. 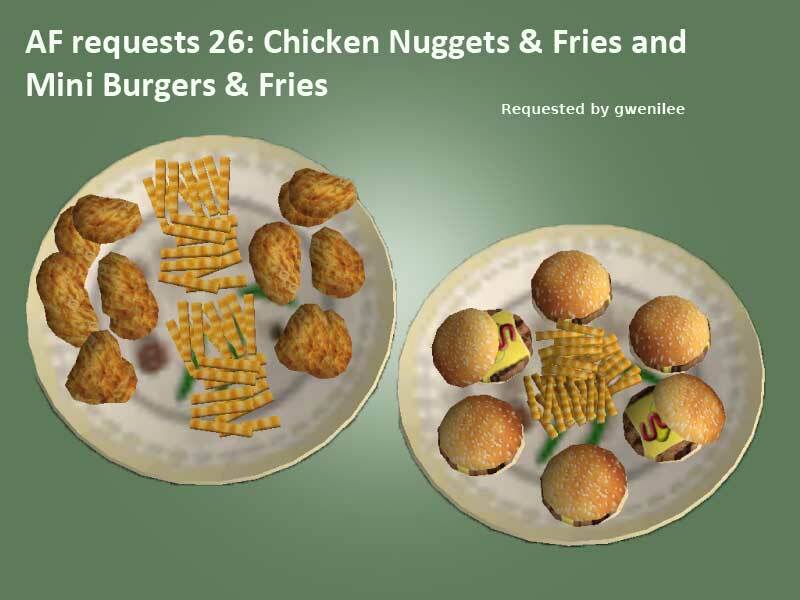 Description: Two dishes with french fries: Mini Burgers & Fries and Chicken Nuggets & Fries.